A stranger let himself into the passenger seat of a car parked in town centre. 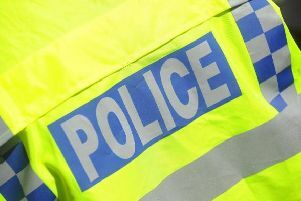 At around 6.45pm on Sunday May 15 in Lodge Road, Daventry, a man got into the passenger seat of a car and started talking to the driver. The driver did not know the man so she got out and called the police. The man stayed in the car for a short time and then got out and walked off in the direction of New Street and Vicar Lane. The man is described as white, 6ft to 6ft 2in, aged 20 to 30, with a ‘podgy’ build and mousey blonde hair. He was wearing a blue T-shirt and light grey or cream jogging bottoms. Officers believe the incident may be linked to an attempted robbery that happened at about 7pm near the church. Witnesses, or anyone with information, are asked to contact Northamptonshire Police on 101. Alternatively, they can call the independent charity Crimestoppers anonymously on 0800 555 111.